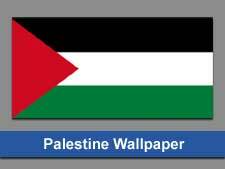 Palestine, officially the “Republic of Palestine” is an independent country in Western Asia. Majority of the country’s territory is occupied by Israel and Palestine today only consists of two separate regions i.e. West Bank and the Gaza strip. The country and its people are some of the few unluckiest people on the earth who are facing occupation for decades with negligible help. Seaways of the country are also blocked by Israel and is bombed constantly throughout resulting in deaths of innocent people. The lands of Palestine and especially the Jerusalem are one of the holiest places for Muslims, Christians, and Jews. Jews were expelled from the region by the Roman empire thousands of years ago. During the Muslim conquest of the Middle East, Muslims established their supremacy and are living in Palestine peacefully along with Christians. Muslims also have a rich cultural heritage in the country. After World War 1 ended, the Ottoman Empire vanished which as the last Muslim Empire in the World and which also had held over the Palestinian region. Afterward, the British occupied the region and allowed thousands of Jews to settle in Palestine. Subsequently, after settling, the Jews not only pushed the British out but also occupied the Palestinian people lands which were living in the country for thousands of years. The conflict is ongoing since then and Israel has occupied the majority of the Palestinian lands. Many countries, especially the Muslims all around the world have tried to resolve the issue but Israel, backed by the US has always rejected. Some of the countries even purpose the two “state solution” but this also got rejected by the invaders. Islam is the largest region of the country followed by a significant population of Christians. Vastu tips for money plant?